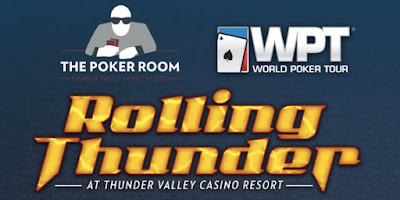 With 440 total entries, @WPT Rolling Thunder $,3500 Main Event Prize Pool totals $1,408,000, paying out $295,128 to this year's champion. 55 players cash, the mincash sitting at $5,990. Here's the full PayTable for the March 2018 PT Rolling Thunder Main Event. Note: First place includes $15,000 WPT Tournament of Champions seat.